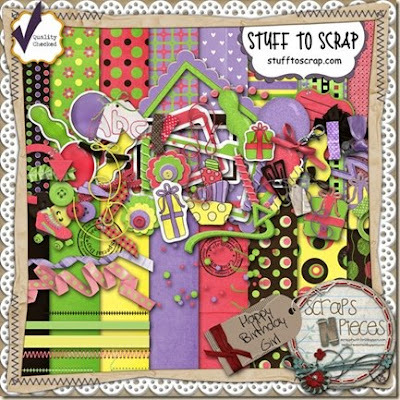 Heidi, from the Scraps 'N Pieces team, designed their latest kit for her daughter's 11th birthday. It's called Happy Birthday Girl. It has fun colors that are great for all types of girly pictures. This kit will be on sale for $2.50 for the first week, so go grab it now. Image is linked to the store. Oh, and if you have boys, don't despair, their next release is a Happy Birthday Boy kit.